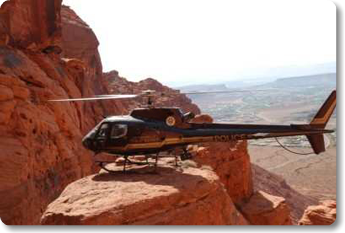 Hangar One Avionics has been awarded the contract to complete a new Eurocopter AS350-B3e for the Utah State Highway Patrol. The new aircraft will include a High Definition camera system, with an infrared (IR) sensor, which is integrated to a GPS-based mapping system. An Onboard Systems Cargo Sling , as well as a Trakka Beam A800 searchlight will be installed for load sling, and night time operations. Technisonics multi-band radios, interfaced to the Becker digital audio system, will be installed to facilitate tactical communications. Check back in the coming months to see the aircrafts transformation from green to complete!